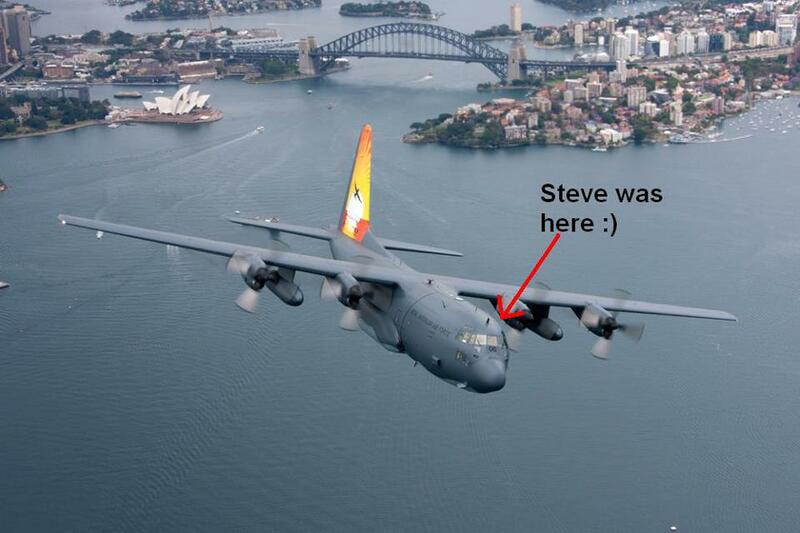 Flying solo around Australia is a challenging & amazing experience, even today (just ask Owen Zupp :) ). It’s even more mind-blowing when you’re a quadriplegic! 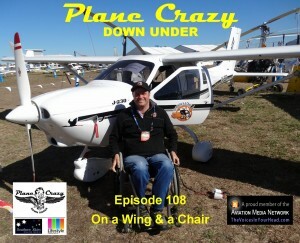 This episode Steve & Grant talk to Dave Jacka who is setting out to be the first quadriplegic person to fly solo around Australia! 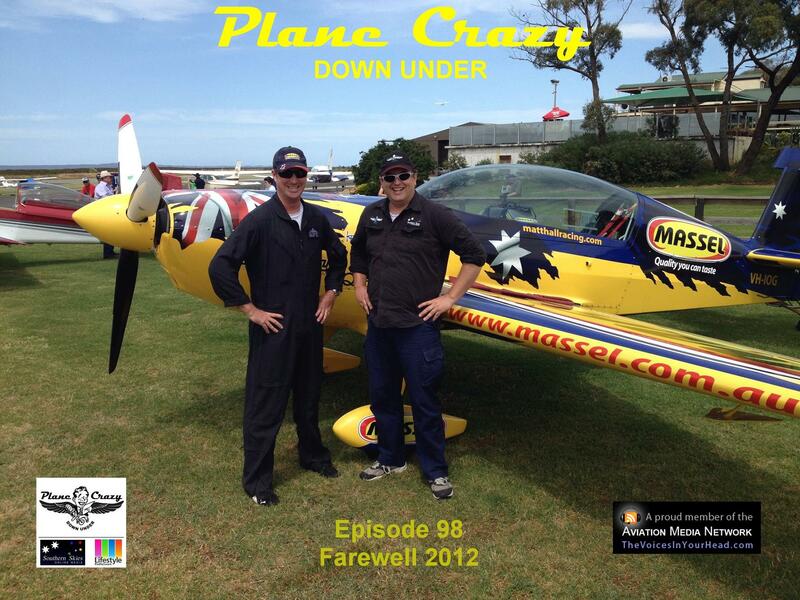 We also include a chat Steve recorded with Laurie Jones from Adventure Wings about his role as a fire-bomber and the Nanchang adventure flights they operate from Tooradin (YTDN) plus a new View from the Lounge and even a competition! 0:04:40 – Our chat with Dave Jacka about his flight around Australia and his On a Wing and a Chair charity. 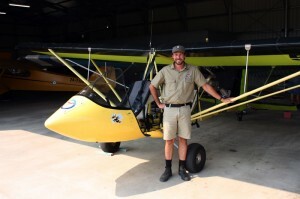 0:42:41 – Steve chats with Laurie Jones from Adventure Wings. Doug Worrall has released the LEO – Low Earth Orbit game and it’s fantastic fun! If you can’t enter the competition or don’t manage to be one of the winners, you can get 20% off the Series 1 DVD pack by purchasing it by using this special 20% discount link. 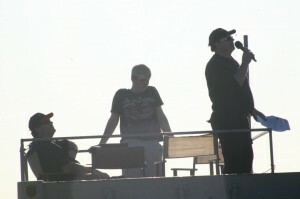 Thanks again to Fletch & Mal from Flight Path TV for making the discount available to our audience. All this AND we appeared in Episode 46 of the Stuck Mic AvCast when Len Costa came down under for a quick holiday. Once again we’re joined by Kathy Mexted and this time we’re discussing what’s involved in being an Ag Pilot and how the industry has developed here in Australia. We then switch to Kathy’s interview with Georgia Maxwell in Gunnedah. Georgia is the first female ag pilot in Australia qualified to fly the Air Tractor 802 with Pay’s Air Service. Georgia discusses what it’s like working in the Aerial Application world (aka being an Ag Pilot). After the interview we talk about the Aerial Agricultural Association of Australia and how the season is booming following the breaking of the drought. 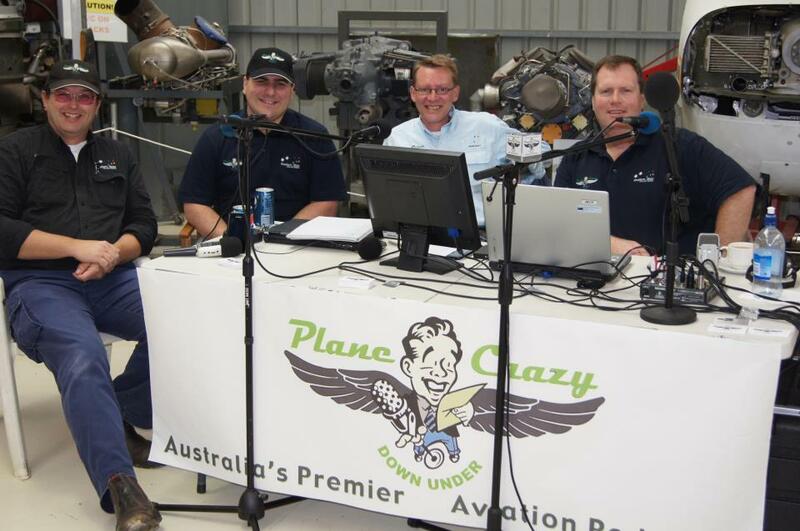 Anthony Crichton-Browne joins us to continue talking about Ag pilots & the nature of their work. Anthony has recently been at Red Baron Australia’s open day chatting with Joel Haski and the guys from Combat Dragon who are now basing their A37 at Red Baron’s hangar. We get to sit in on a Combat Dragon briefing, then listen to the sound of the A37 starting its engines before discussing the A37’s typical departure from Bankstown (YSBK). 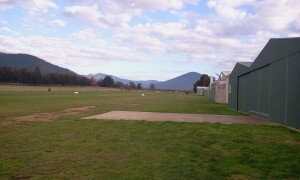 We then play Anthony’s chat with Joel Haski about the latest developments at Red Baron and their new hangar facility. Anthony talks briefly with Jeff from Combat Dragon about their missions and working with Red Baron. You can hear more about Combat Dragon from an interview Anthony had with them in episode 2 of his podcast, Flying Ant. 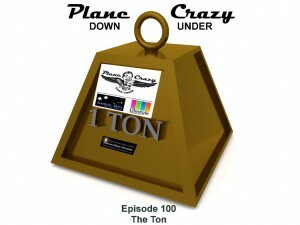 Next up, Pieter Johnson from XTP Media in the UK takes time out from his “Across the Pond” segment in the Airplane Geeks to bring us his first “From Up Here to Down There” report. In today’s report, he provides an interview with Matt Falcus about his Far East and Australasia airport spotting guide. If you’re spotting in the Asia/Pacific area, you should check out Matt’s book. Having listened to Pieter’s chat with Matt, Anthony chats with us about a pilot’s view of the ‘plane spotters’ he sees at most of the major Australian airports. After the break, we return to Grant’s chat with Geoff Morrison from GT Gyroplanes at Echuca. We talk about Geoff’s background in aviation in New Zealand hunting deer & working on warbirds before he came over to Australia to work on gyroplanes with his brother Alistair. After that we get into a discussion about gyroplanes in general, the Australian Sports Rotorcraft Association (ASRA) and their Kruza gyroplane in particular. We then have a discussion about gyrocopters before bringing Pieter Johnson back onto the show to chat with us about his background in aviation, his goals for linking Australian/NZ flying with the UK and his interview with his father. There’s no denying that aviation has been the home of many innovative ideas when it comes to aerodynamics, systems and so on. 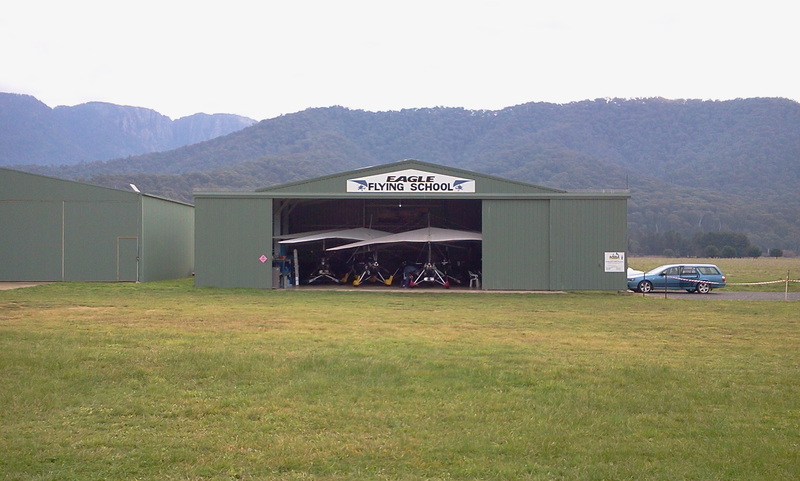 Sometimes we even get to hear about innovation in many of the business & training aspects of aviation and this episode is bringing us a few of them, from new ways to bring aviation education to kids through to recognising the need to store aircraft in the Asia/Pacific area. We also have a number of other content items including a few more of our Avalon interviews. 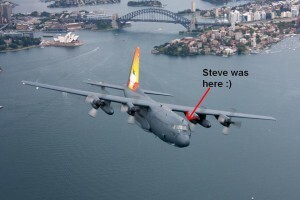 The Airplane Geeks podcast reaches episode 150 – well done, guys! Thanks to all those who’ve left feedback at the iTunes store – much appreciated and keep it up! Don’t forget to check out our website where we’ve made some recent layout changes plus we’ve also been loading more videos on our YouTube channel. 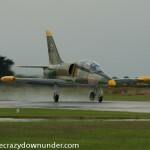 Here’s a quick teaser video of Steve’s flight in JetRide’s L39 down at Tooradin airport recently. We’re still working on the full “Adventure Flights” video so this one’s a bit of a teaser and a test of putting videos in our feed. Let us know how it works for you. Do you want videos in the feed or a separate feed for video entries? You can find photos from the flight on our Flickr Collection, a bit of a write-up in our Talk to Me, Goose post and see lots of comments about the flight on our Facebook Page. Steve scored a ride in an L39 Albatros with Mark Pracy from Jetride Australia, flying from Tooradin airport (YTDN) in the south east of Melbourne. Mark ran them through a combination of horizontal & vertical manoeuvres during which Steve experienced a sustained peak of 5G’s. Best of all, he didn’t even hurl! In flight video was captured along with the briefing and a few interviews. 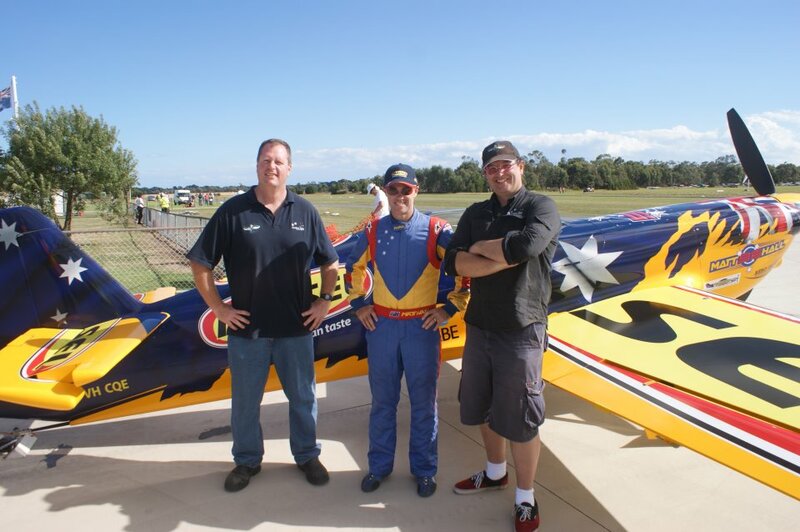 We’ll be putting together a special video episode that combines Steve’s jet ride and Grant’s 8G RedBull aerobatics ride last year with Joel Haski from Red Baron. We’ll also be putting together an audio episode on high-thrill adventure rides. Watch for these to come out in the PCDU feed in the near future. This episode we feature an interview with Hannes Arch, the Austrian Red Bull champion in 2008 who came second in 2009 and is currently second on points for 2010. We have a great chat with Hannes (starting at 0:05:38) about his involvement in extreme sports, his love of flying and his approach to the Red Bull racing world. We were also fortunate to get some time with Gary Clark (starting at 1:01:30), the creator of the Swamp cartoon strip. Gary’s experiences in learning to fly and his on going adventures in the air have provided a solid source of inspiration for many of the characters & moments depicted in the Swamp series. It is not uncommon to find his cartoons on the walls in flying clubs & schools, hangars and aviation organisations. A discussion with Angie Morino from Aus Air Services (starting at 0:33:14) about the changes they’ve made at the Tooradin Flying School (YTDN). The Airplane Geeks podcast reaches 100 episodes – well done guys!